No, you have not time-traveled back to 2008. The woman in question is Kelly Ayotte, the 44-year-old New Hampshire senator elected in 2010, who has lately raised eyebrows for her sudden elevation into one of the most high-profile congressional alliances. Thanks to the upcoming retirement of Joe Lieberman, there’s an opening in the so-called Three Amigos, the (formerly) bipartisan group of self-styled foreign-policy truth-tellers. McCain, along with South Carolina’s Lindsey Graham, has adopted Ayotte just in time for their loudest campaign in recent memory, against the nomination of Susan Rice for Secretary of State because of her role in the Benghazi affair. Ayotte, in a foot-stamping move, has personally pledged to block ANY Clinton successor who doesn’t make her happy. 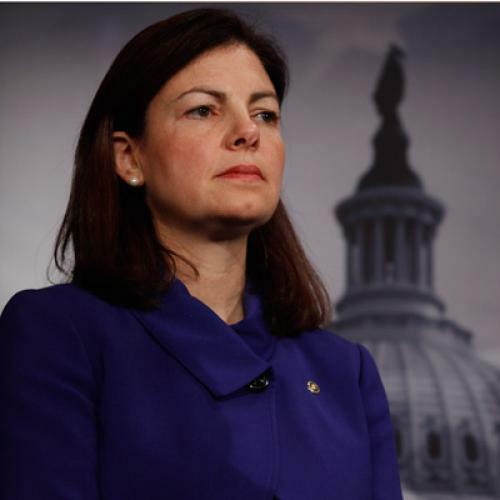 Ayotte represents not just a do-over for McCain in the mentoring department, but for the Republican Party as well. She is indeed a “senorita” for the amigos, in a post-election landscape in which the GOP has come to realize that it might need to redouble its efforts to build a coalition that includes more women and minorities. Ayotte can come forward, for instance, with the particular authority afforded a woman of childbearing years, to speak for the Republicans’ position on whether religious institutions should be forced to cover birth control. “The addition of a Republican woman from New England who’s young, who’s a mom,” one senior GOP aide told Roll Call before she’d even been elected, “all of these things broaden the Republican Party’s appeal and say to different segments of the population, ‘This party has folks in it that are just like you.’” Another promised that “She will be a leading Republican woman voice in the Senate.” This bit of identity politics is useful for Republicans, and thus useful for Ayotte, who has a resume that speaks to a clear-minded careerism (law school, a prestigious clerkship, a few years at a well-paying corporate job, then her rise through the New Hampshire D.A.’s office, where she was—as any Republican woman in such a post is wont to be—Tough On Crime). Ayotte might have vaguely mavericky biodata for a Republican senator—when was the last time the party had a pro-life but mostly moderate New England mom to boast of?-- but she’s a footsoldier versed in talking points. This boringness is her true trump card, and the secret thus far to her national political success. She is the anti-Palin, perfect for a party still shellshocked by its grand experiment with charisma devoid of experience and not yet entirely chastened by its less-grand experiment with experience devoid of charisma. Ayotte is not going to mess up. She will hit her marks, even if she doesn’t inspire. She has carefully moved her positions rightward in order to move up in the national GOP. She is a Romney type in Palin clothing. And, like Obama, Ayotte is actually more aligned with her party’s establishment than the public might realize. She has rejected Tea Party moves like the attempt to block the Senate compromise on extending the payroll tax earlier this year, preferring to compromise. McCain compared her to Margaret Chase Smith, a trailblazing Republican woman and lion of foreign policy; others have contextualized her alongside such GOP moderates as Lisa Murkowsi and Kay Bailey Hutchison. Unlike many of the women (Nikki Haley, Susanna Martinez) with whom she was grouped in the 2010 election (of whom Hanna Rosin wrote “two factors—woman, reformer—seemed somehow linked during an election season that saw a series of female insurgents make national headlines”), Ayotte hasn’t been especially interested in shaking up the party, but rather finding her place within it, and so, grateful for the ring-kissing, the party has made plenty of room. Even her current foreign policy feint, which has exposed her to the criticism that the GOP’s Rice fixation is racially motivated, is pragmatic: she’s now more of a household name, and has staked out turf at work. Whether it works or not will be instructive in the long-term success of the Kelly Ayotte project, which is to make bland memorable.